Russian authorities have announced that they will release all 97 whales currently being held captive in Russia’s Far East. The initial video showed some 90 belugas and 11 killer whales or orcas in the pens, caught by four companies that allegedly planned to illegally sell the animals to Chinese aquariums and amusement parks. Experts believe some of the whales may have since died. 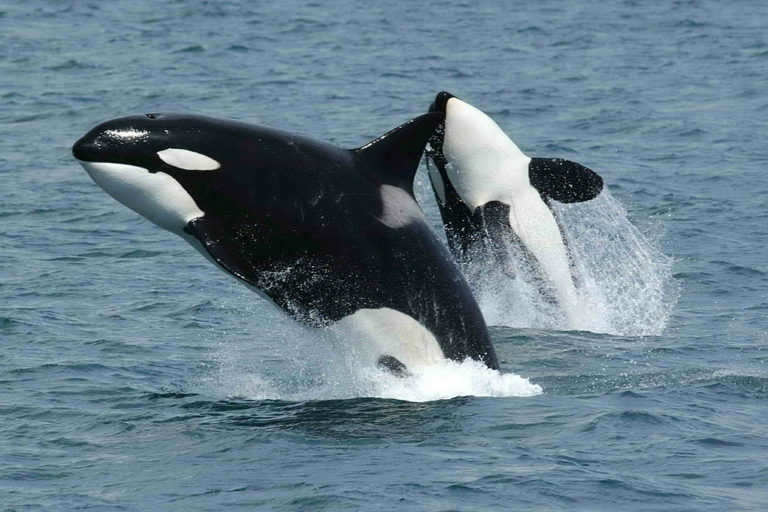 Two killer whales jump above the sea surface. Image by Robert Pittman/NOAA via Wikimedia Commons (Public domain).